In a medium size pot, heat oil and brown the chicken for 5 minutes. Add the vegetables and Barley then cook for about 5 minutes before adding the browned chicken, 2 cups of low sodium vegetable broth and 3 cups of water. Add the boullion, salt and pepper and cook for another 10 to 15 minutes until the chicken and barley are cooked. 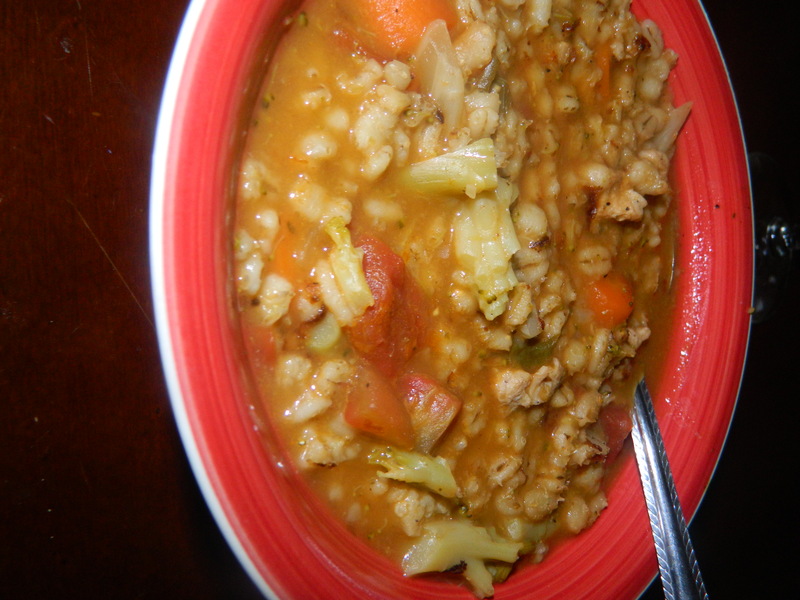 Posted in Health/Fitness, Recipes and tagged barley, bell peppers, boullion, broccoli, broth, cauliflower, chicken, onion, tomatoes. Bookmark the permalink. Cook the quinoa on the stovetop according to package directions. Set aside. Heat 1 tablespoon of oil in a large nonstick frying pan over medium-high heat. Add the chicken and onions, and cook until softened slightly. Add the ginger and remaining vegetables and cook for 30 seconds. Stir in the boullion, low sodium soy sauce plus the black pepper. Cook for about 15 minutes or until the chicken is cooked. Dish the quinoa and top it with the chicken stir fry and serve. This dish makes for a great lunch or dinner. I am loving these new dishes because they don’t involve white rice and that is a wonderful thing. Operation white rice no more has been going well thus far and I hope to stay strong. Thank you for stopping by and for reading, I hope that you enjoy this recipe, I would love some feedback from anyone who tries them. 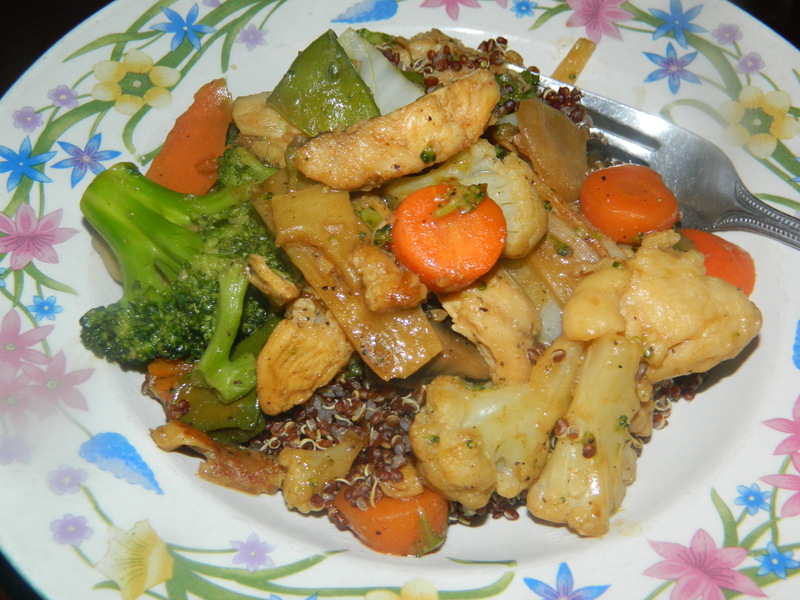 Posted in Health/Fitness, Recipes and tagged black pepper, broccoli, carrots, cauliflower, chicken boullion, olive oil, red quinoa, salt, Tyson's chicken. Bookmark the permalink.